A man in his 70’s in Sweden has been given a fine of over £1,000 by a court after he made disparaging remarks about Muslims on social media. The pensioner, who lives in the Swedish city of Gothenburg, was convicted by a court last week on charges of hate speech against Muslims online. The comments were made on a Swedish Facebook page which has around 4,000 members, and the man is alleged to have called Muslims “monkeys” and said: “The only good Muslim is a dead Muslim,” SVT reports. The court imposed a fine of 12,000 Swedish krona, or around £1,166, on the man after finding him guilty. 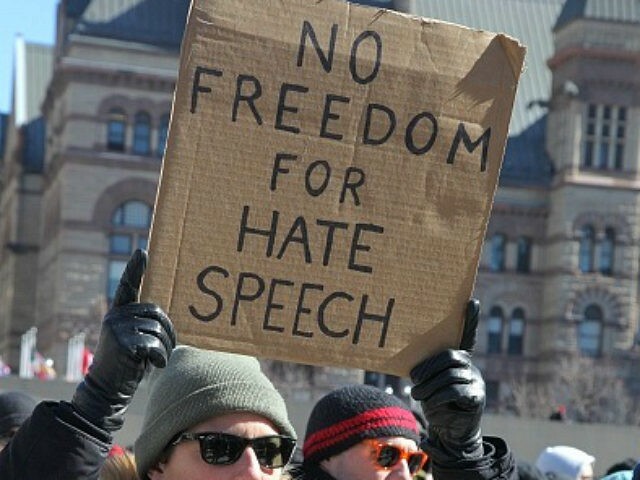 Hate speech crimes in Sweden have existed for many years but since the height of the migrant crisis in 2015, there have been more and more arrests and fines. Earlier this year, Sweden proposed to expand the definition of hate crimes to include “gender expression and identity”. Often the cases are speech that has been made online as was the case with a 70-year-old woman in Dalarna who “expressed a disparaging view of refugees” after she claimed that migrants “set fire to cars, and urinate and defecate on the streets”. The Swedish government has also publicly made it clear that it does not endorse critics of mass migration after earlier this year creating a “blacklist” of politicians, political commentators, internet celebrities, and others by blocking them from the official Swedish Twitter account. Last week, several Swedish anti-mass migration podcasts were also taken down by the website Soundcloud for “hate speech” though one of those affected, Ingrid Carlqvist, said she believed it was due to the work of far-left extremists.